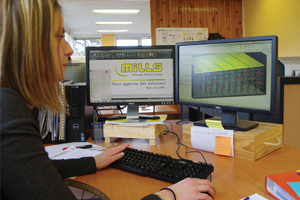 Our design offices assist our technical sales representatives and our clients throughout the life of their projects. There are 20 engineers and technicians at the branches and head office. They work on software programs specially designed for our business lines by our team of in-house developers. Most of are designs are in 3D and are accompanied by design briefs. Produce 3D animations to describe implementation methods. Our design offices are here to help you.